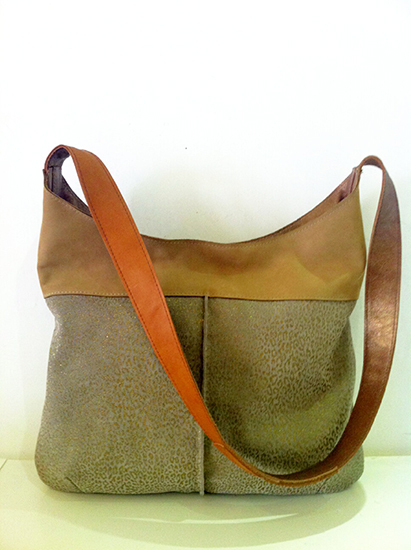 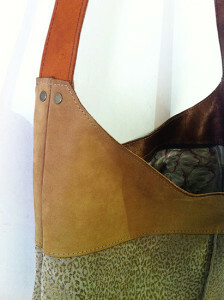 A coffe latte color leather bag combined with dark cream leather with gold leopard print. 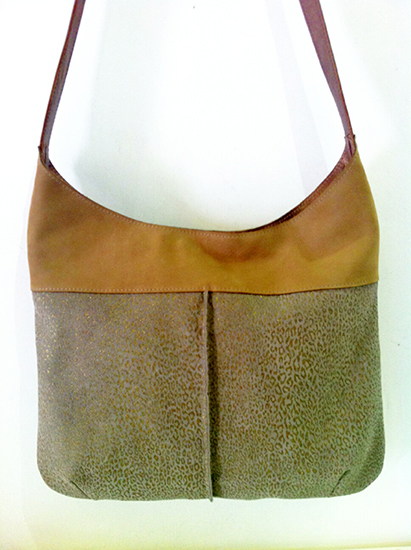 Daring but classy at the same time. Lining with beautiful flowery silk fabric. 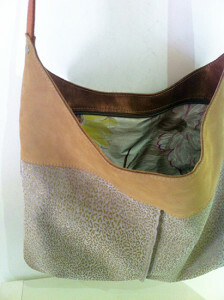 Inner pocket with zipper and mobile pocket.